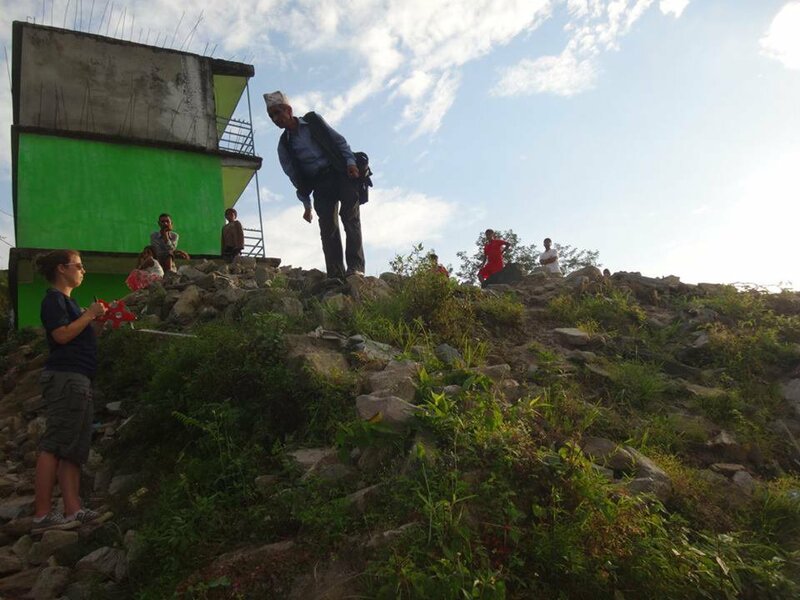 Nepal will come out of the rubble stronger; stronger people with stronger homes. Many governments around the world cannot afford strong social safety nets. Others are slashing budgets. And in others, corruption is so rampant that the money intended for general welfare is stolen. In such environments, aid organizations try to fill in the gaps to help those living in poverty gain basic rights such as healthcare, housing and education. Following the devastating earthquake in Nepal last April, more than 7,500 people died. Thousands more were displaced. Infrastructure in affected areas was destroyed or compromised. Homes and schools collapsed, water systems broke and roads were rendered unnavigable. Because of this, the risk of disease and hunger rose as resources became scarce and water sources were contaminated. Scores of aid organizations rushed to the country for the recovery phase. Among the first respondents was All Hands, a US-based non-profit that helps communities rebuild following natural disasters. The organization's vast team of volunteers has traveled all over the world, from Haiti to India to New Orleans. 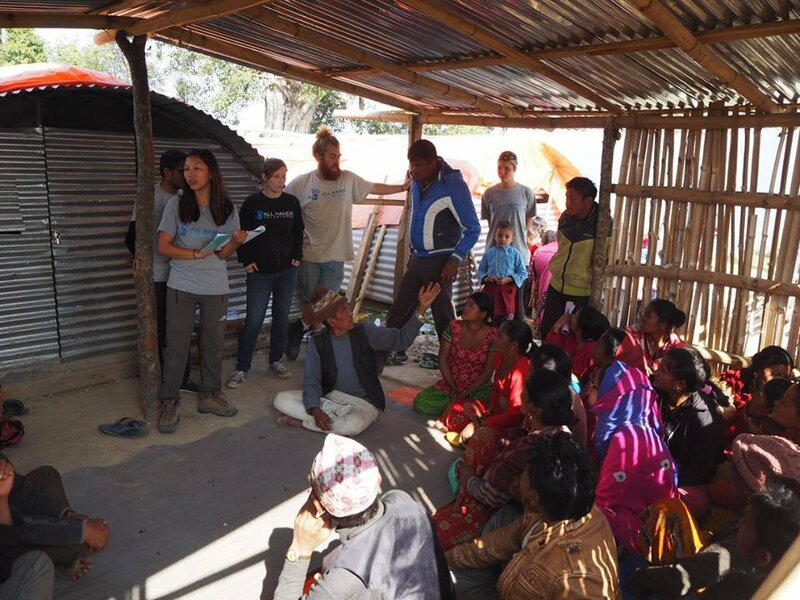 Most recently, a team has been busy building schools and shelters and providing disaster relief in Nepal. The recovery phase will likely go on for many more months (if not years) as infrastructure is repaired and the economy recovers. 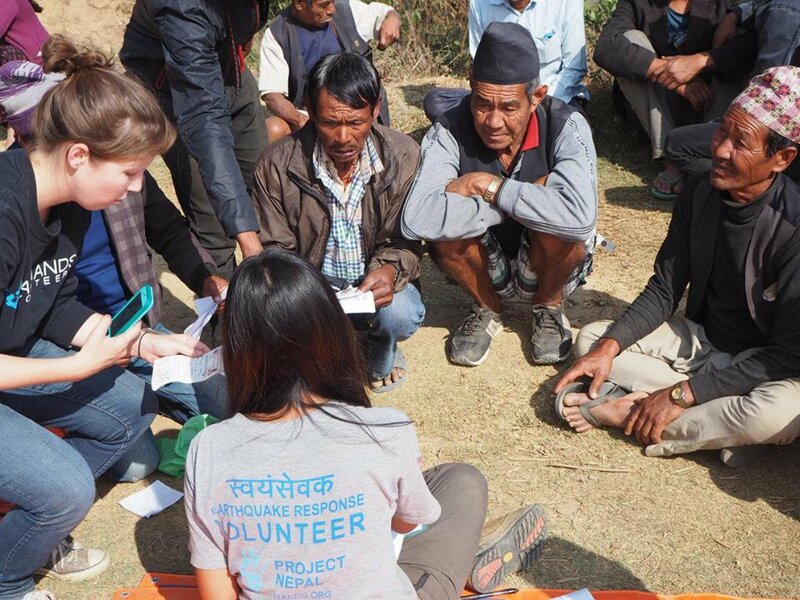 I recently spoke with Avery Doninger, a program manager with All Hands, over email to get a better sense of the situation in Nepal and her general background in volunteering. Since the earthquake, Nepal has put forth a new constitution, faced civil unrest and struggled with a fuel crisis. Avery, for her part, has been involved in disaster relief for years and previously worked in Haiti and the Phillipines. As she says, "For me, the most important area of growth has been in understanding the importance of listening. Not only do people want to be heard, but their knowledge is invaluable. Never assume expertise. The locals are the experts at understanding their community and their environment. If you don’t listen, you’ll miss key social and cultural information that are critical to providing relief assistance or successfully implementing recovery programs." Q: Can you describe the situation in Nepal immediately after the 8.7 magnitude Earthquake? What were the biggest humanitarian concerns? AD: All Hands was on the ground assessing the situation 48 hours after the first earthquake. After only a week we had coordinated a team of national, first responder volunteers to help distribute relief goods and move mountains of rubble. The situation was over 500,000 houses destroyed in Kathmandu valley and the surrounding districts. The country was devastated. Nepal was hit by a second earthquake almost a month later, along with a series of tremors in the following months. This was not just an urban disaster, but a rural one. The earthquakes caused landslides and blocked off already remote villages from outsides assistance. The immediate concerns were rescuing people from the rubble of collapsed buildings and getting food, water, and medical supplies to remote communities in the mountains. Aside from immediate lifesaving concerns, shelter was a huge issue, particularly as the monsoon season began just following the second earthquake. As we move into the recovery phase, shelter remains a huge concern and priority. While monsoon season has ended, winter is now upon us. Without adequate shelter, people will freeze. Q: The earthquake devastated infrastructure. Has education rebounded? Are kids back in class? 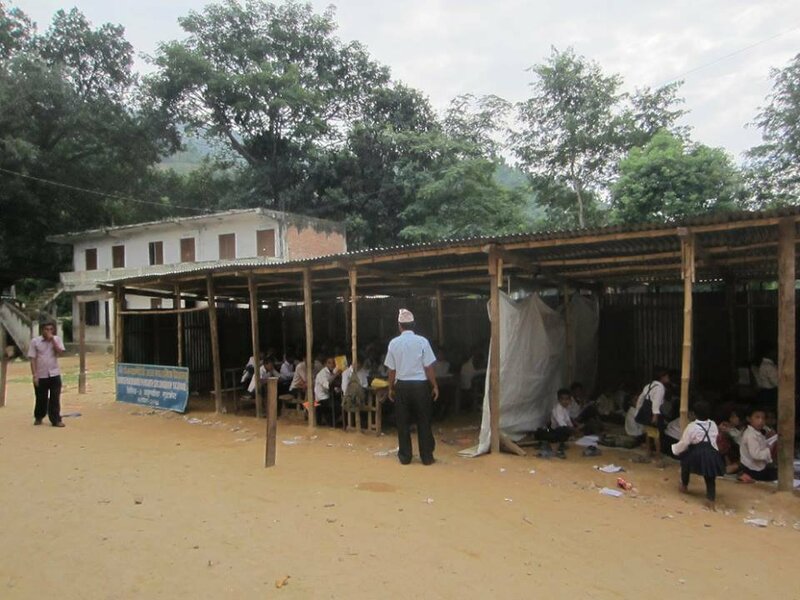 The Nepal earthquakes devastated the education system in the 14 affected regions. What was probably the most impressive aspect of the humanitarian response to the Nepal earthquake was with education. This may have been because NGOs were encouraged not to directly provide housing, so the focus was shifted to public buildings, such as schools. There was a huge effort to get kids back in school and in a safe and secure environment to instill a sense of normalcy after such a traumatic event. This was also important to protect the kids from child trafficking, which is unfortunately commonplace after a disaster and particularly, in Nepal. The government called for thousands of Temporary Learning Centers (TLCs) to be constructed and between international NGOs, local NGOs, and grassroots community efforts, they went up quickly. However, now 6 months on, after the long monsoon season and through the harsh sun, these TLCs are starting to degrade and come apart. They are hardly suitable spaces for children. Rehabilitating school infrastructure is imperative to the country’s long-term recovery and future success. Schools are central to Nepal’s communities and act as a catalyst for social, gender and economic equality. 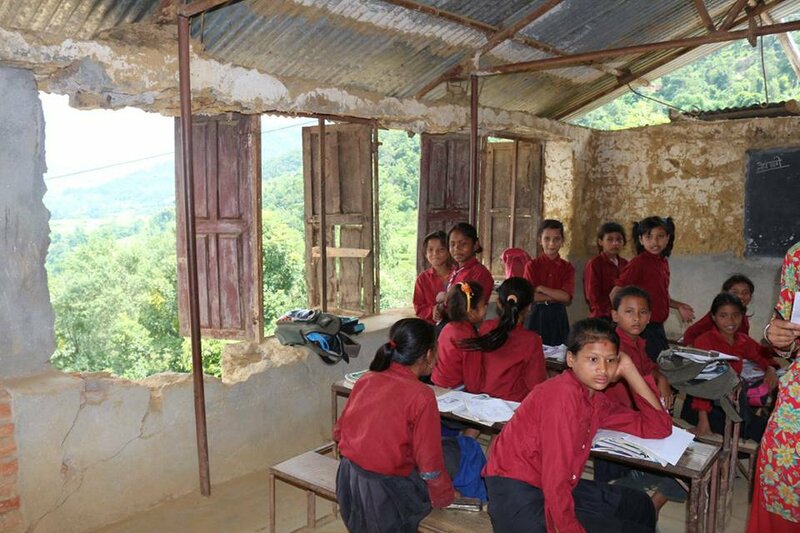 All Hands, in partnership with Room to Read, will be the first NGO to start permanent school reconstruction in Nepal. 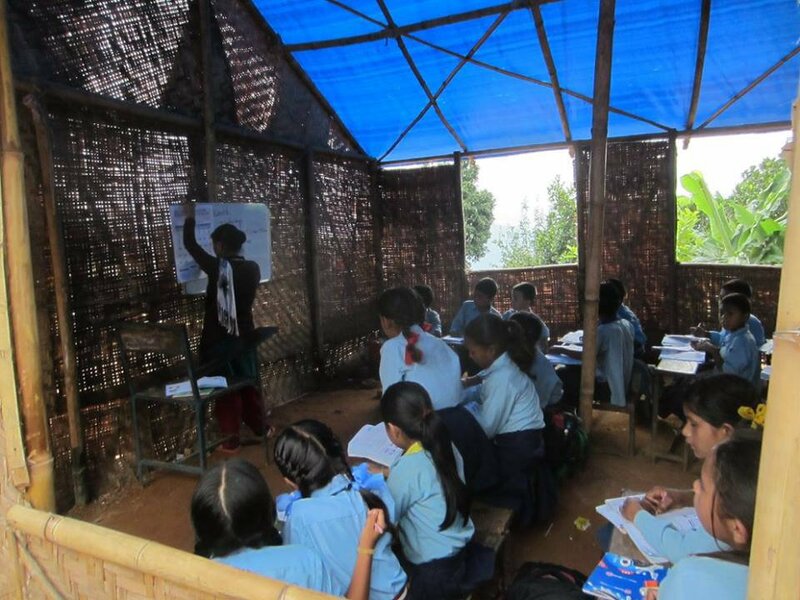 Room to Read [is] a global non-profit organization that, for nearly two decades, has tackled the chronic shortages of classrooms, educational materials, and teachers across the school systems of underdeveloped countries, with a special emphasis on Nepal. However, the scale and scope of this disaster are taking Room to Read beyond its core areas of expertise, as Room to Read has not previously worked in a post-disaster context. Q: What kinds of risks arose from the compromised water and sanitation systems? Unfortunately, inadequate water, sanitation, and hygiene (WASH) systems and facilities existed even before the earthquake. However, the earthquake has compromised the WASH infrastructures that did exist. In community assessments we have found entire communities with only one toilet. In some places, none at all. This has led people to use the river as their toilet; the same river they now have to fetch water from since the springs that once flowed consistently, went dry. While there has been a great effort to get children back in school, not all schools have adequate WASH facilities. Less girls will attend school if they do not have separate toilets or toilets at all. Damaged WASH infrastructure means that people need to spend more time walking great distances to fetch water. People have to spend more time working to meet their basic needs, leaving little time or energy to reconstruct their homes and livelihoods. Q: What kind of work are you specifically doing in Nepal? I'm the Program Manager for a shelter program called Hamro Ramro Ghar. In Nepali, the phrase ‘hamro ramro ghar’ directly translates to “our nice home,” but to Nepalis the meaning of ‘hamro ramro ghar’ is “home sweet home.” This program aims to support earthquake affected families in building their homes back safer as well as building capacity and resilience in communities to provide children and adults alike a feeling of security after many months of living in unsafe conditions. The Hamro Ramro Ghar Program focuses on building back safer. 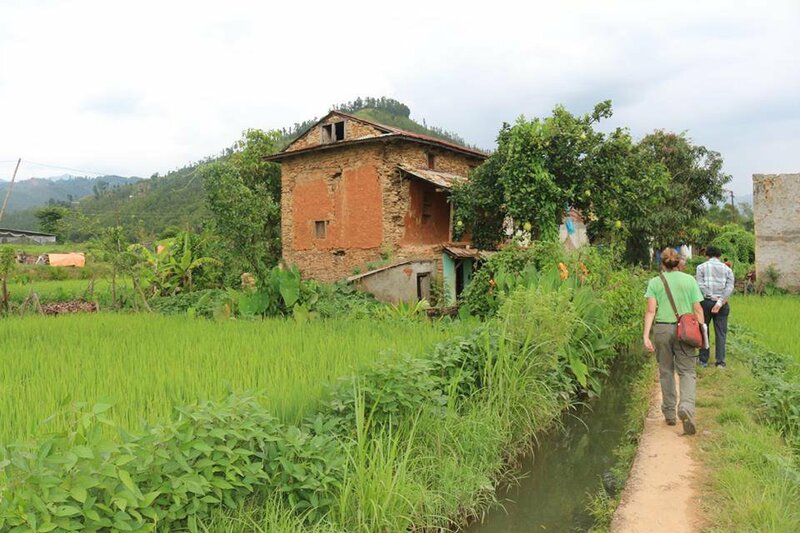 In the Sindhupalchok District, we will be constructing 50+ transitional homes and household toilets alongside the vulnerable households chosen to receive them. This will also include technical trainings for local masons as well as an 8 week community training on safer shelter solutions for the entire community to participate in. In the past six months, All Hands has constructed and distributed basic necessities (tents, water, rice, blankets, hygiene kits), constructed temporary learning centers (TLCs), demolished unsafe structures, removed debris, constructed temporary shelters to protect displaced families during monsoon season, and improved drainage and hygiene facilities in internally displaced persons (IDP) camps to minimize the risk of flood and water-borne diseases from the constant rain. The response phase is starting to transition to longer term recovery and All Hands has been adapting programs accordingly. Because of the scale of the disaster, we have set up operations in two districts, Nuwakot and Sindhupalchok. In Nuwakot we are focusing on permanent school reconstruction and in Sindhupalchok we are focusing on transitional homes and building back safer training programs. Six months later, we still have active rubble removal and demolition programs - these programs will continue alongside our rebuild programs as long as the needs exist. Q: What is the political environment like at the moment? Initially, the Government of Nepal (GoN) took a homeowner-driven approach to reconstruction and discouraged the involvement of NGOs in directly providing transitional or permanent housing. The plan was (and still is) for the GoN to provide an equitable, blanket approach to shelter by providing a housing and reconstruction subsidy (equivalent of $2,000 USD) to earthquake affected families in the 14 affected districts. This is an incredible feat to be taken on by the GoN. Perhaps in light of the complexity of the task and the issues the government is facing in dealing with drafting a new constitution, the protests to the constitution which have created a crippling fuel crisis, and general bureaucratic paralysis, the GoN has indicated that NGOs are now permitted to help solve the housing crisis by building transitional shelters. The Nepal Post-Disaster Needs Assessment also expresses a preference to have shelter recovery be a homeowner-driven, but recognizes that there will be vulnerable populations that may not or cannot do [it] themselves. Nepal is facing a problem that requires reconstruction of +/- 500,000 homes, so large scale solutions are the answer; however, local level execution is where the success or failure will hinge. Q: Winter is coming—what should people know about the threats this poses? Nepali organizations (National Society for Earthquake Technology and Council for Technical Education and Vocational Training, etc. 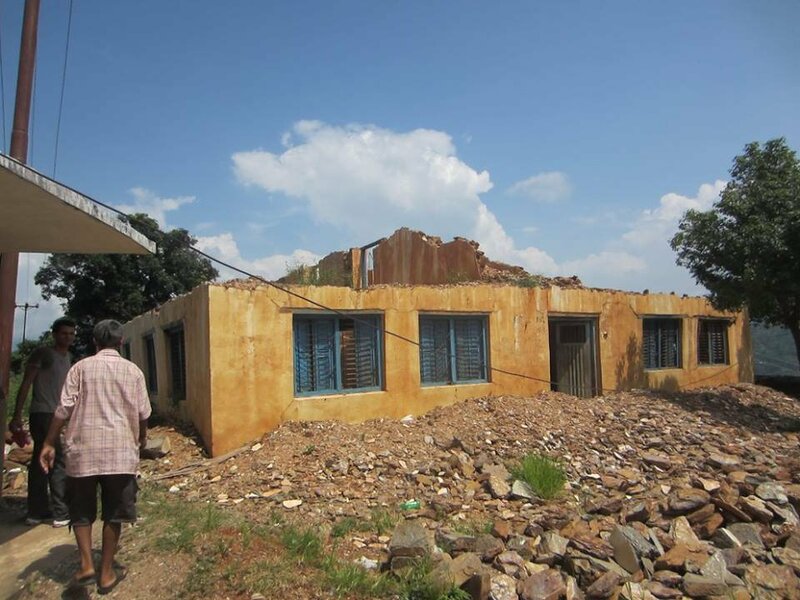 ), the Government of Nepal, international humanitarian aid organizations are putting forth all efforts and resources towards technical and building back safer trainings to support a homeowner-driven approach to shelter reconstruction. While these trainings will certainly have an impact in the long term reconstruction efforts in Nepal, people who are living hand to mouth can only be concerned with the short term impact of their lack of shelter. The people of Nepal have been well aware that winter was coming and, particularly those high in the mountains, have had no choice but to rebuild themselves with the resources they have available and in the only way they know how. This has, and will continue to, result in people rebuilding unsafe structures just to stay warm. Q: What should the international community be doing to help? The current fuel crisis in Nepal has dramatically impacted relief efforts. Humanitarian aid organizations are unable to operate at their normal capacity or at all, which is preventing people from getting the assistance they desperately need. Many larger NGOs have been trying to distribute winterization kits in all 14 affected districts, however these efforts have slowed dramatically due to the shortage of fuel – many families will not get supplies to help them through the winter. Aside from continuing efforts to support the Nepal recovery effort financially, the international community should be putting pressure on India to put a stop to the fuel crisis and both India and Nepal to resolve their dispute. The fuel crisis has certainly impacted All Hands’ operations in Nepal, but we are a small, nimble organization and have been able to ‘make it work’. We have remote demolition and rubble removal teams that are sent out for weeks of camping in remote communities to cut down our fuel usage. Additionally, we have had teams walk and hike to rubble sites from base (our office and living space) to conserve on fuel. Q: How optimistic are you about where Nepal will be a year from now? It’s hard to predict the future of Nepal. There are too many variables to make a reasoned prediction: Nepal just passed a new constitution after recently ending a 10-year civil war. This resulted in local protests and a fuel embargo from India. The government has diverted a lot of resources to dealing with geopolitics, and not much into internal recovery. That said, Nepalis are innovative, resilient people. While the ongoing fuel crisis and inefficient government efforts have been stifling, there is no doubt in my mind that despite this devastating earthquake, Nepal will come out of the rubble stronger; with stronger people and stronger homes. Q: What is one experience that stands out to you from your time in Nepal? Rather than one particular moment, my experience in Nepal is full of little moments like this: I was out doing community assessments with my colleague a few weeks ago and a woman invited us into the small, CGI and bamboo, temporary shelter she had built for her family after her house was destroyed in the earthquake. We chatted and she insisted that we try the dish they make after the first rice harvest of the year. It was a gamey (made with buffalo milk) yogurt with uncooked rice, pepper, and seeds. More people joined us and we all continued chatting as we ate. Then, one woman turned and said to me, "What happened to you when you were born that you ended up here - hiking in the mountains in Nepal? You're probably from somewhere very flat - you must be tired." I don't know what happened to me when I was born to end up here, but I'm grateful for it. Q: You've done relief work in Haiti, the Philippines and Nepal. How have you grown throughout this journey? I don’t think I could ever adequately articulate all of the ways in which these experiences have influenced me, but I will say that if anyone is ever afforded the opportunity to give or to travel or to teach or to exchange: do it. All of the clichés are true: you don't appreciate how fortunate you are until you spend some time in a developing nation where things like the safety of water or the stability of a building are not guaranteed. For me, the most important area of growth has been in understanding the importance of listening. Not only do people want to be heard, but their knowledge is invaluable. Never assume expertise. The locals are the experts at understanding their community and their environment. If you don’t listen, you’ll miss key social and cultural information that are critical to providing relief assistance or successfully implementing recovery programs. Q: What would you tell someone who wants to volunteer internationally, but doesn't know how to begin? Find a program that works towards something you are passionate about and that will utilize your skills. Thoroughly research the organization to make sure they are legitimate (funds and resources are distributed appropriately, they make a positive impact, etc). Learn about the country, the social and cultural norms, and political conditions before you go. Make an effort to learn the language. Nothing is going to go as planned, so don’t expect it to. Just take a deep breath, and roll with it. Expect a lot, but demand nothing. Have your wits about you, but trust in the goodness of people. You will get more out of the experience than you could ever give. Don’t leave home without a spare roll of toilet paper. You’ll need it. The most important thing to know is that good intentions are not enough. Often times, especially immediately after disasters, volunteers can be more harmful than helpful. Find an organization where your skills and abilities will be utilized effectively. All images in this piece have been provided by Avery Doninger and All Hands.